It was all going so well. The crew was settling into their own routines, finally finding a little refuge from the crazy life they lived before. Then she appeared, and suddenly, the quiet life got a whole lot louder… That’s right folks, the eighth installment of the Fast and Furious franchise has arrived. And what an arrival it’s been. The movie reportedly took in $532.5 million over the weekend, making it the biggest worldwide debut ever. And what’s not to like? Explosions? Ridiculous stunts? Enough corny dialogue to fill Iowa? Check, check, and oh yeah, that’s a check. But of course, if you’re reading this on TopSpeed, then I know what you’re looking for – cars, glorious, gas-burning, flame-spitting, tire-roasting cars. Whether they’re racing through the streets, tearing up an ice sheet, or flying through the air, we know you’re in it for the cars. Thing is, at this point, we’re taking a broad approach to that term, happily including a wide assortment of vehicles, several of which don’t even have wheels. Translation – tanks and trucks are welcome. So with that, here are the eight big ones to look for in ‘Fate of the Furious.’ Let us know your favorites in the comments. 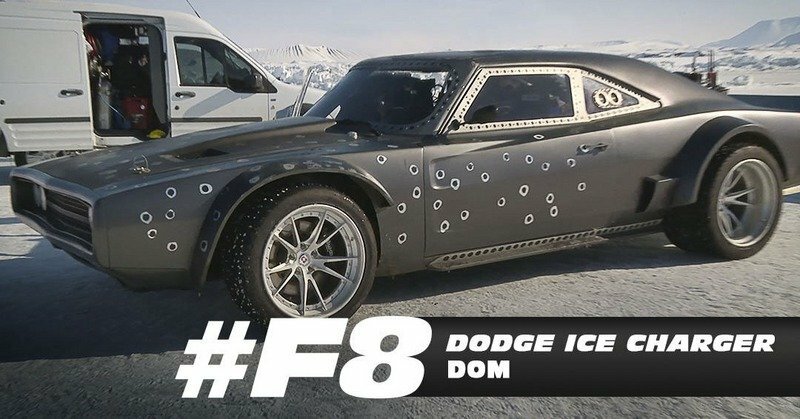 Continue reading to learn more about the cars of Fast & Furious 8. Four years back, at the Tokyo Motor Show, Nissan introduced this funky-looking little sports car concept. 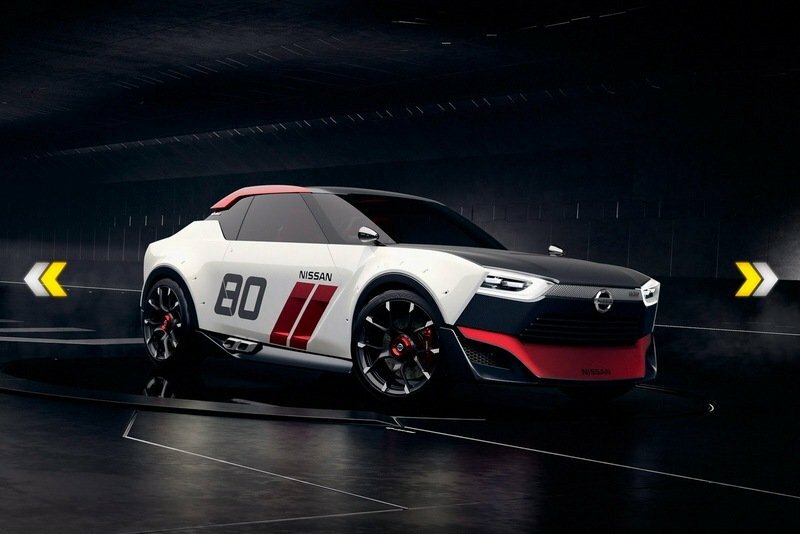 It’s called the IDx, and it’s Nissan’s way of recalling such historical greats as the original Skyline and Datsun 510. That means it puts the engine up front, the drive wheels out back, and very low weight in between, making it quite the enthusiast’s machine and a stout competitor for the likes of the Subaru BRZ and Mazda MX-5. Fittingly, Nissan allowed the ‘Furious’ crew a chance to put it on camera, providing the car world with a nice reminder that this thing still exists. We hear ya, Nissan – now all you’ve gotta do is build it. 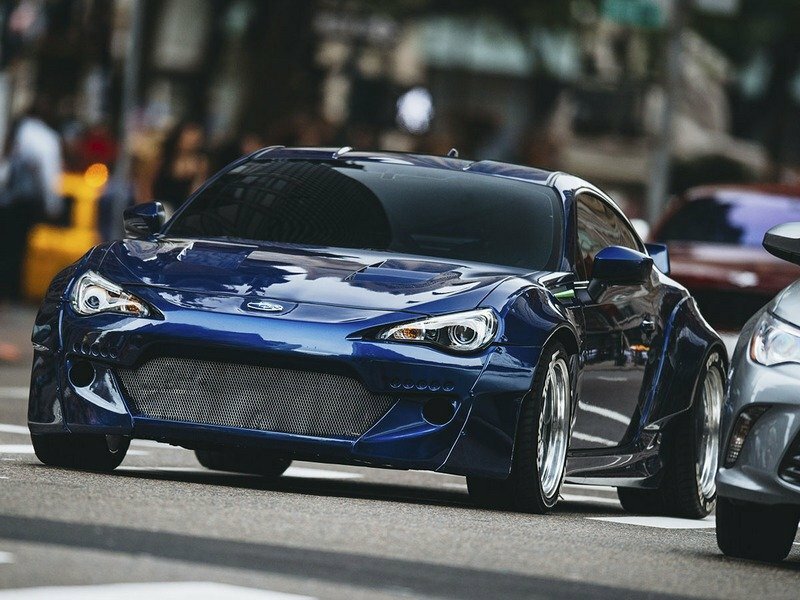 Speaking of the BRZ, Subaru’s perennial boy racer plays a significant role in the movie, with the stunt team putting the agile chassis through its paces in a chase sequence on the streets of New York. Included in the mod list is all the usual suspects – wide body kit, a stripped interior and full roll cage, a locking diff in the rear, a splash more power thanks to a little ECU tuning, ultra wide Toyo tires, and a fuel cell. If you’re a fan of the tuner-heavy car lists in the first few films, this will surely be a favorite. 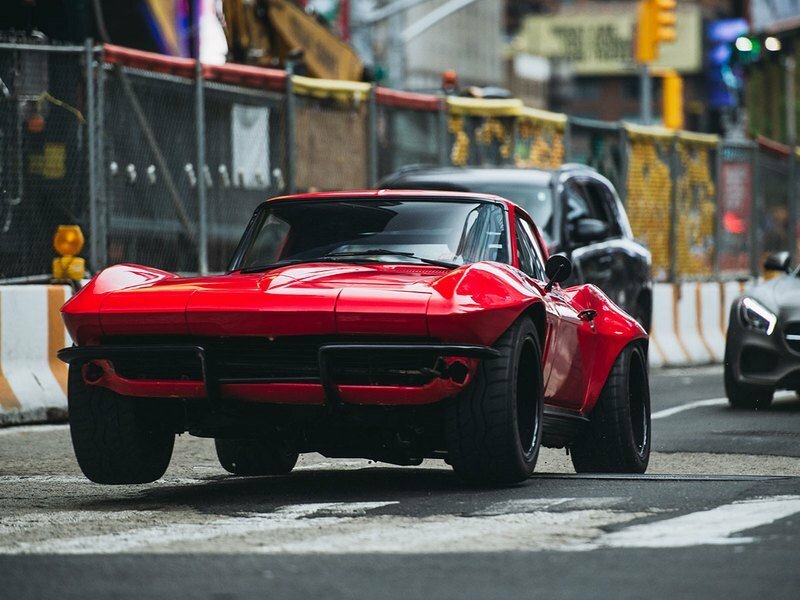 As if the BRZ needed a classic domestic counterweight, this bright-red C2 will also appear in the New York chase sequence. It’s reported the car was originally a barn find in desperate need of a rebuild, which the ‘Furious’ mechanics happily obliged with a 400-horsepower crate motor, a new differential, power steering, power brakes, and a custom wide body kit. There was a plenty of hype leading up to the release of the new ‘Fast and Furious’ movie, but even all the trailers and teasers couldn’t match the hysteria induced by the Dodge Challenger SRT Demon’s debut. But what a match, right? 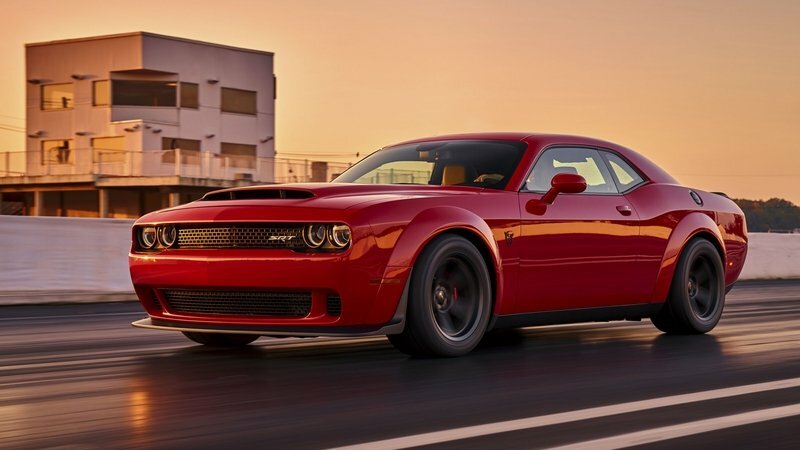 If there were ever a production car that could go toe-to-toe in theatrics with this franchise, it would have to be the Demon. Here are some numbers – 840 horsepower, 0-to-60 mph in 2.3 seconds, quarter mile in 9.65 seconds at 140 mph. Dom, er, Vin Diesel was even there to help unveil the thing at the 2017 New York International Auto Show. 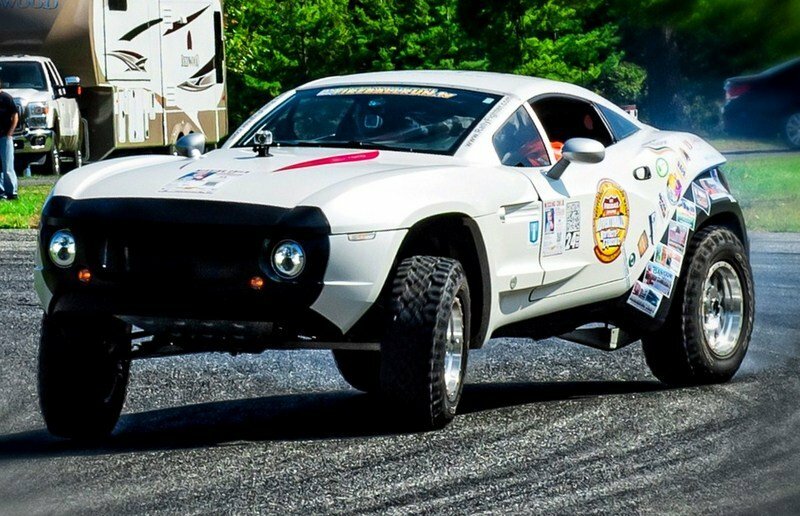 Big, bad, and totally bonkers – those are the things that make the Rally Fighter what it is. It looks like it would be perfectly at home bashing across some far-flung dunes, or better yet, jetting across some icy tundra, and it’s got the goods to do just that – big jacked-up suspension, with the rear wheels powered by a 6.2-liter V-8 from GM making 430 horsepower through a four-speed automatic. Throw some studded tires in the corners and LEDs on the roof, and you’ve got yourself a movie star as well. The Dodge Ram is already rather beastly, and it doesn’t take much to make it even more badass. The Dodge Ice Ram is what happens when you do a lot more. 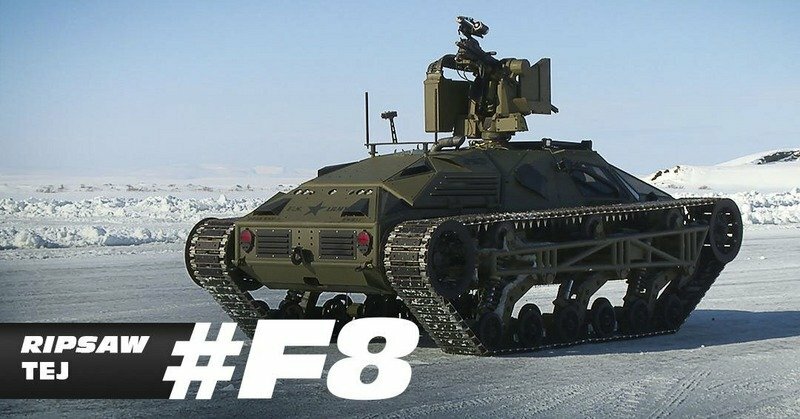 This thing is basically a tank, with treads instead of tires, tons of armor plating, and a roll-over-you attitude perfectly in line with its driver, Hobbs, as played by Dwayne “The Rock” Johnson. If you’re the kind of person who likes to take a “hands-on” approach when dealing with enemy torpedoes, this is the right ride for you. From something that looks like a tank, to an actual frickin’ tank, this is the Ripsaw, courtesy of Howe and Howe Technologies. Created for the U.S. military and equipped with a 6.6-liter diesel engine generating 750 horsepower and 1,000 pound-feet of torque, the Ripsaw is classified as one of the most advanced super lightweight tanks in the world. It’s been used in both manned and unmanned iterations, delivering heavy machine gun firepower wherever it might be needed thanks to impressive agility and robust durability. Sounds about right for this franchise. We saved the best for last. Remember the Beast from the first ‘Fast and Furious ’? Well, it’s back, and it looks like it’s been eating its spinach. Say hello to the new and improved Charger, now with the right chops to dominate on the ice thanks to a wide body kit, AWD, and studded ice tires. It’s also rocking a bespoke chassis with custom, well, everything. 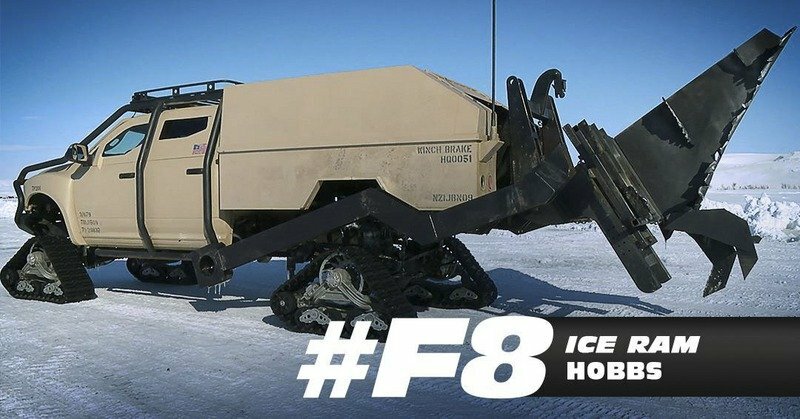 This thing is insane, and the only way the ‘Furious’ crew can one-up themselves for the ninth movie is if it gets a jet engine in back for some reason.